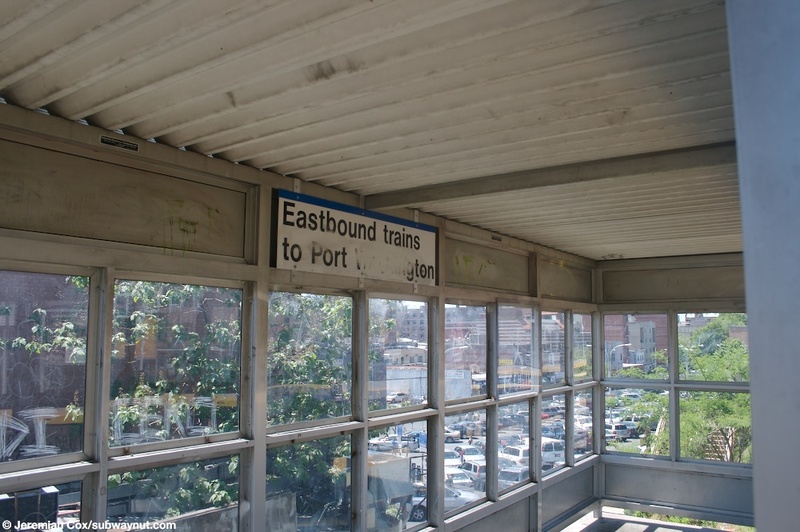 A very confusing sign on the elevated viaduct the LIRR is on in flushing because the entrances to the two side platforms are no where near one anther. 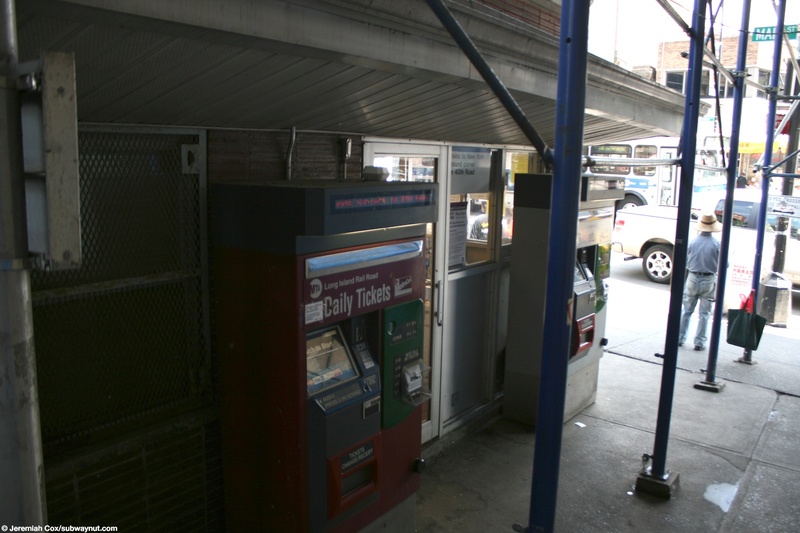 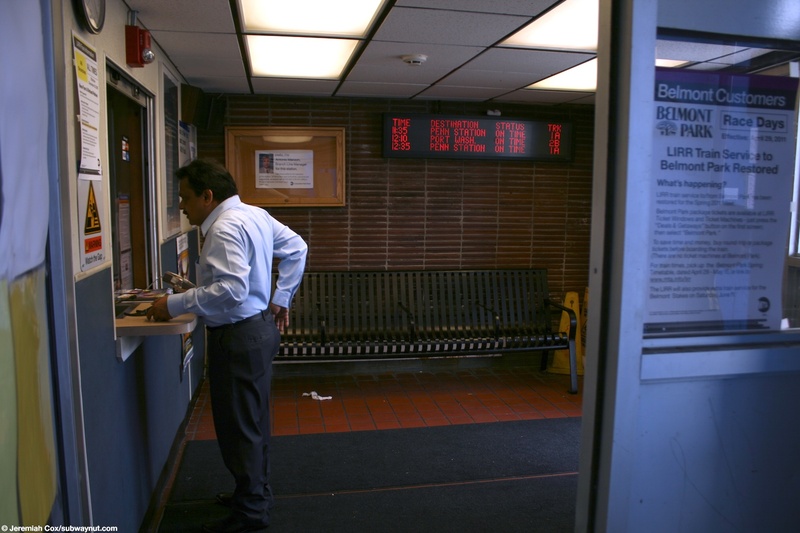 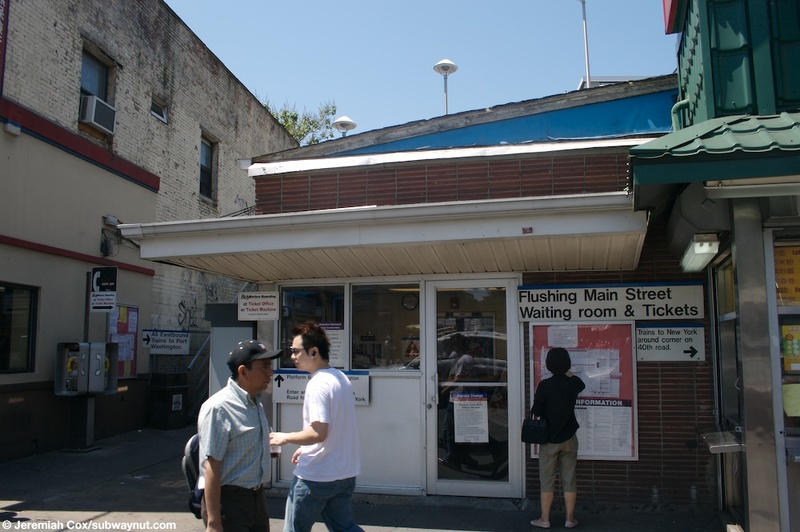 A view of the outside of small waiting room with a ticket window at Flushing-Main Street. 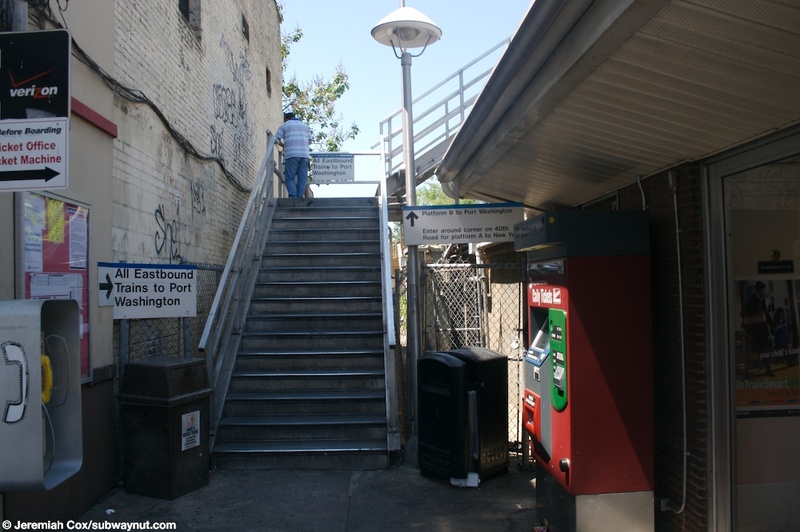 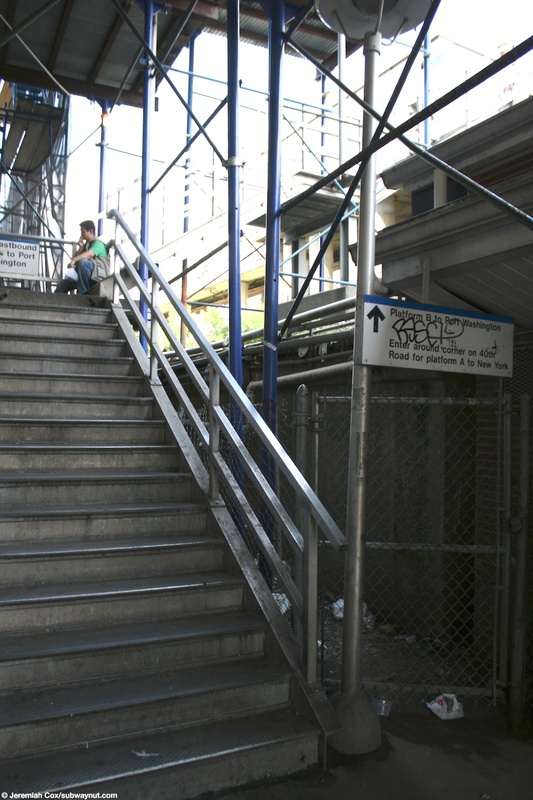 A staircase up for all eastbound trains to Port Washington. 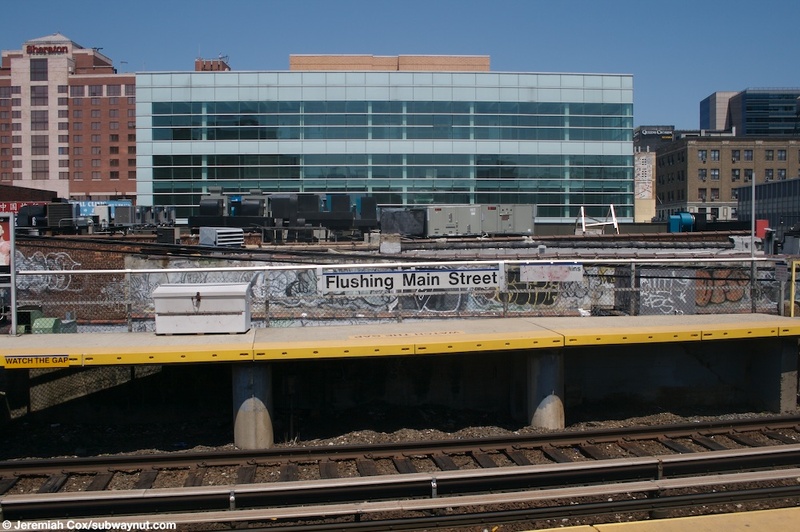 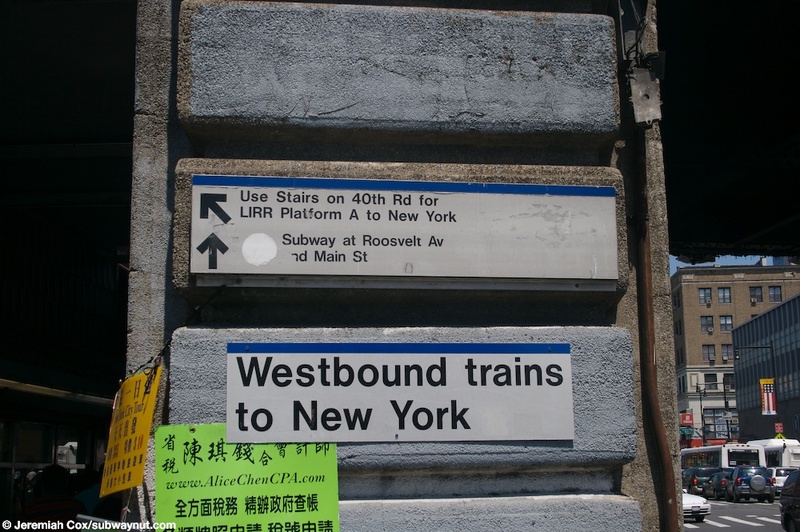 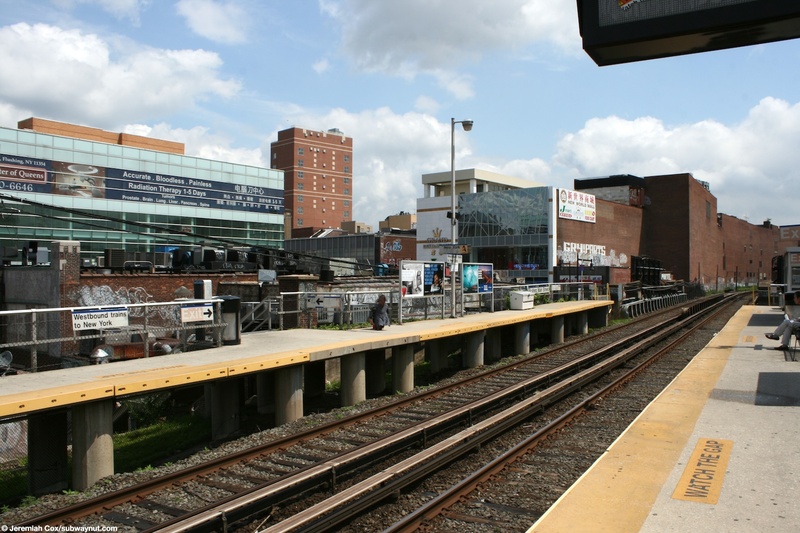 Looking across to a Flushing-Main Street platform sign on the Manhattan-bound platform that is accross from a building covered in grafeti. 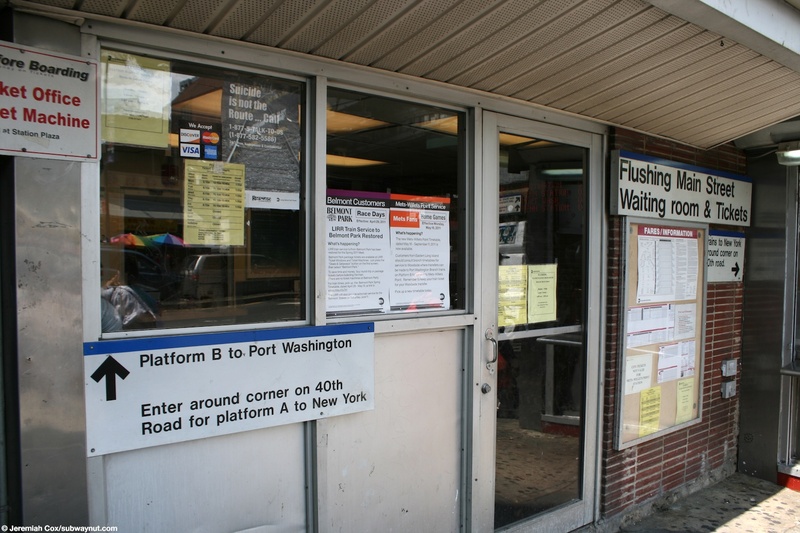 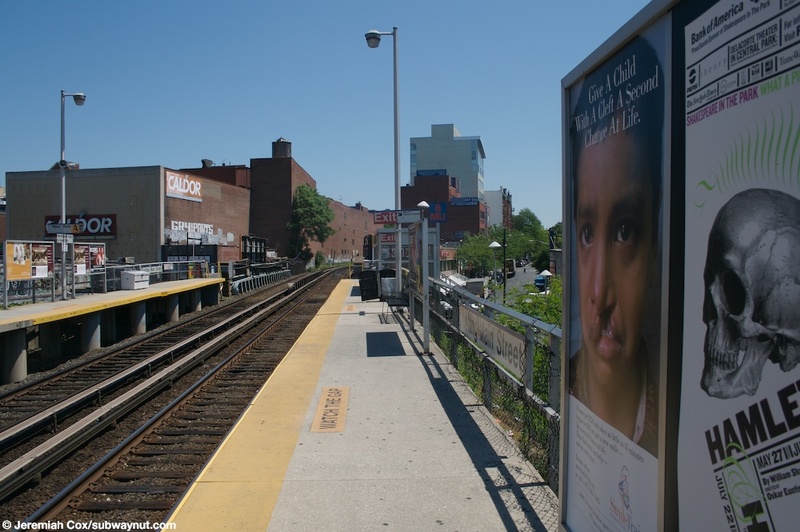 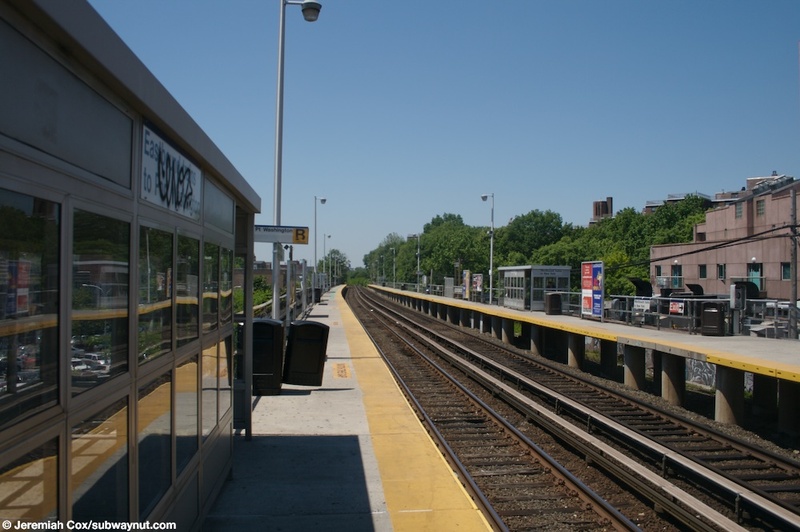 Looking down the Westbound platform at Flushing-Main Street by a delapidated waiting shack. 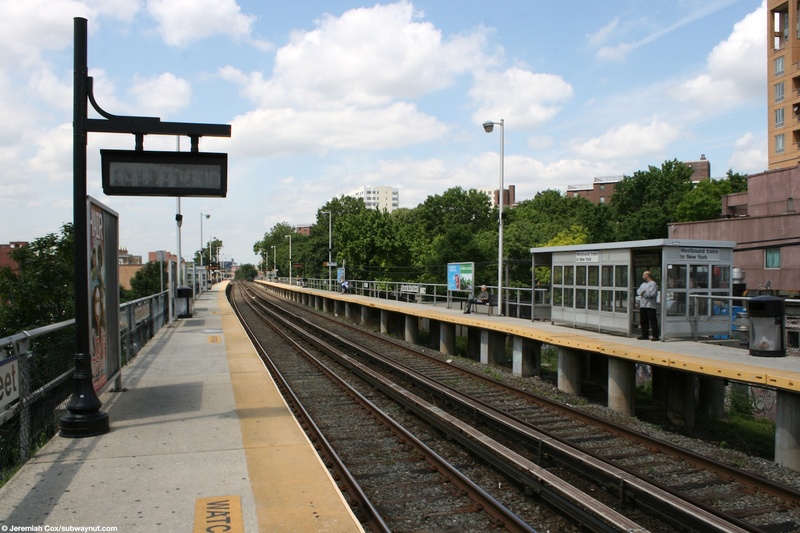 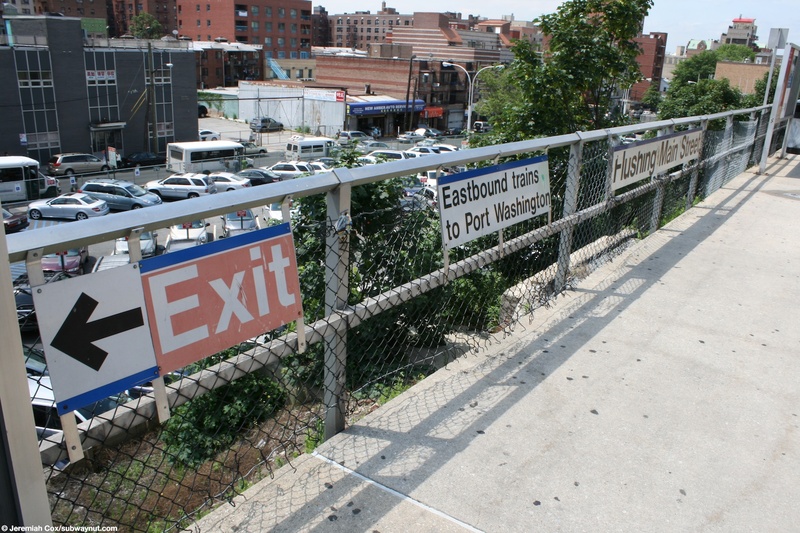 Another view down the eastbound platform at Flushing-Main Street. 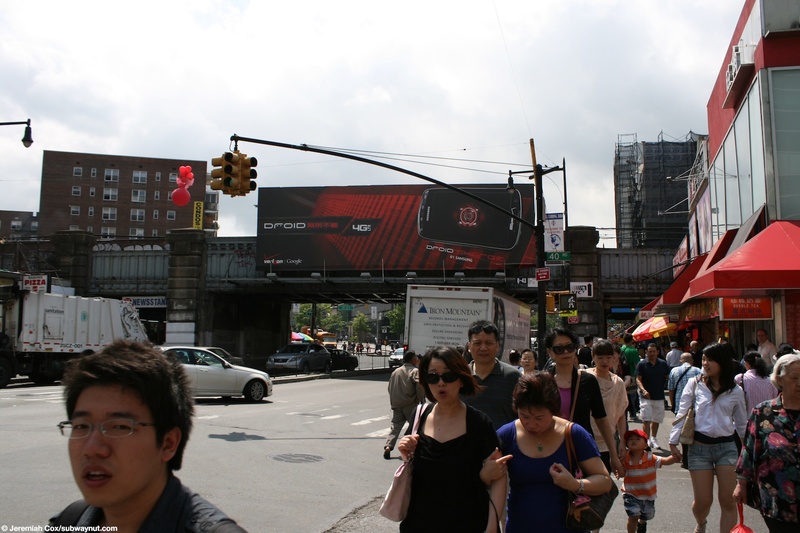 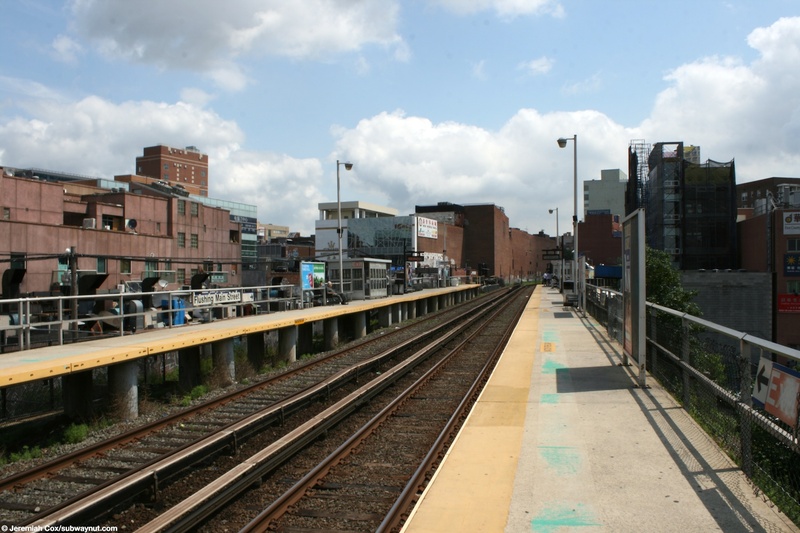 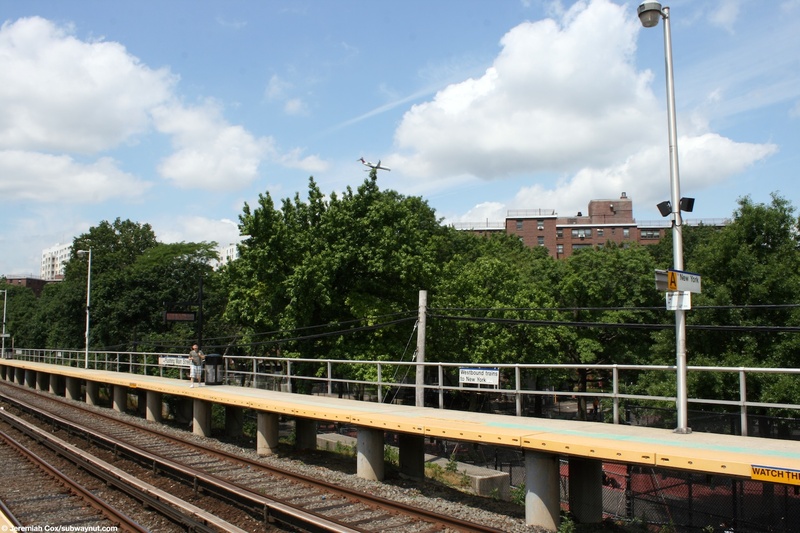 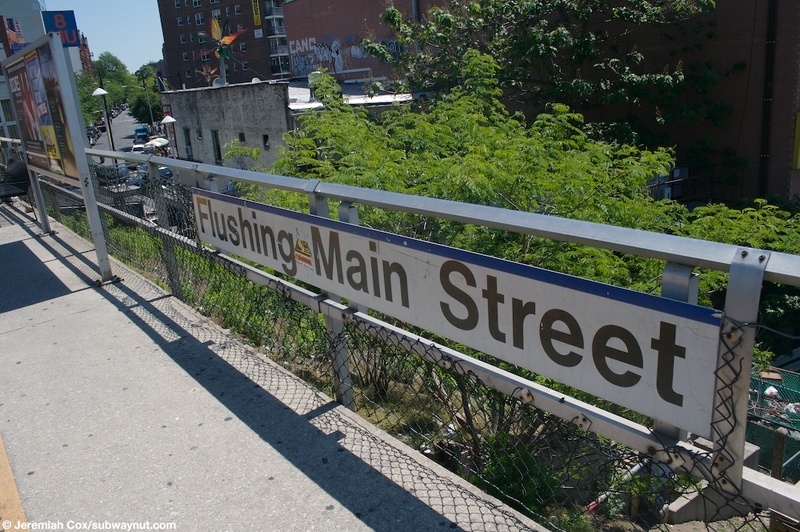 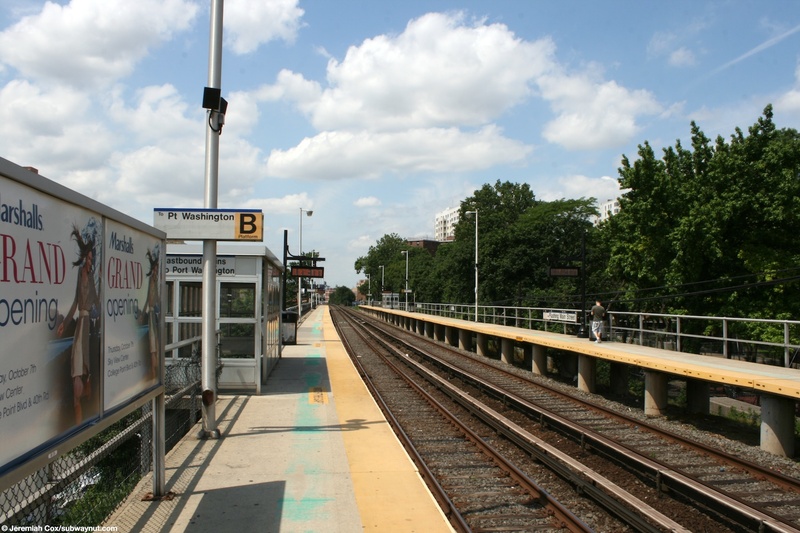 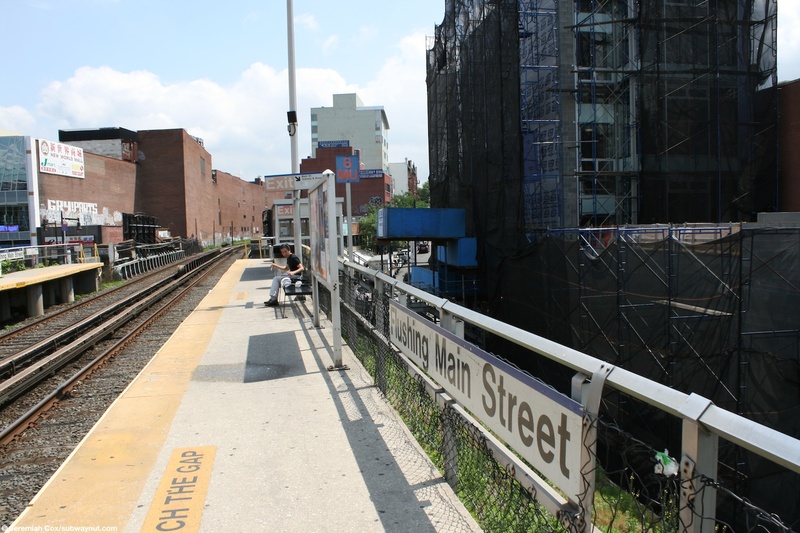 A close up of a long and low-hung platform sign at Flushing-Main Street.